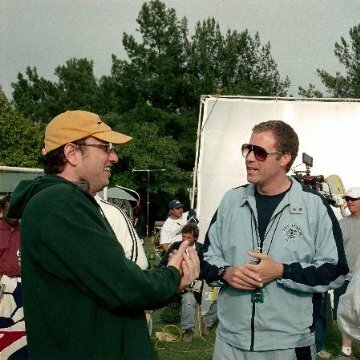 Will Ferrell stated this is his favorite of his films, for sentimental reasons- throughout the span of the shoot, his wife became pregnant with, and gave birth to, their first son. He said he filmed specifically imagining watching the movie with his child one day. Revealing mistakes: When Umberto agrees to let Gian Piero and Massimo play soccer, Maria (the woman next to Umberto) claps her hands and looks at the kids. In the next shot, she has a Sharpie pen in her hand and is in a completely different position. Mike Ditka: Coffee is the lifeblood that fuels the dreams of champions. A formulaic cliché, true. But also a colourful, honest, and straightforward entertainment. I liked it. I liked this movie. Sometimes a 'simple' movie can be colourful enough, and entertaining enough, without having to be great or artsy. 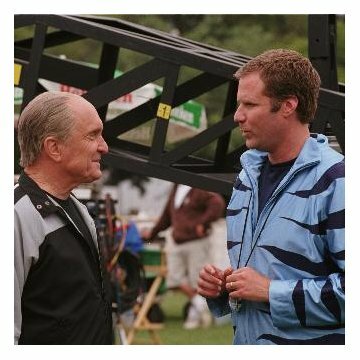 'Kicking and Screaming' was very formulaic. I actually found myself predicting each step and outcome as the plot unfolded--- the adult abused child, his dad, and his son, and the three generations colliding. The re-play of the overbearing father thing, the adult man vowing to never be like his father, but then getting accidentally caught up in the same dynamic himself. then the sports movie redemption, etc., etc. It sounds like a cliché, and it is--- but, oddly, I found myself more surprised than annoyed as each cliché denouement surfaced. I kept thinking, as the cliché loomed--- 'Nahhhh... they wouldn't do that. There must be some slick tricky twist coming up.' Nope. No twists, no tricks--- all the clichés play through exactly like you expected them to. But there was a certain courage and honesty about that, which I greatly admired. They had a simple, straight-forward, no-nonsense formula story, which they played out exactly as that. It was very honest. Robert Duvall--- always great. 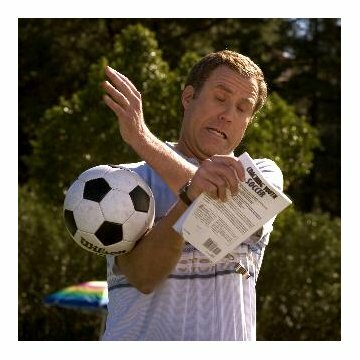 Will Ferrell, always funny. 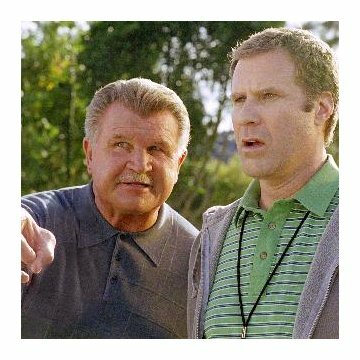 Mike Ditka, as an actor--- he's a great football coach.